May 3rd is one of those days where more than one food holiday is celebrated. According to our calendars, it is both National Chocolate Custard Day and National Raspberry Tart Day. But wait…some calendars list May 5 as National Chocolate Custard Day. And they all show August 11th as National Raspberry Tart Day. The deeper into this challenge we get, the more confusing it becomes! I thought this would be the perfect opportunity to discuss how we decide which food holiday to celebrate when there is conflicting information like this. First off, though we have an official calendar, this is really a compendium of multiple food holiday calendars out there. There are no fewer than 7 or 8 different food calendars on the internet and, while they all agree with each other 95% of the time, that other 5% can be really annoying. Every day I check our calendar against two or three other reputable ones to make sure they’re all in agreement. When they aren’t, my philosophy is, “majority rules.” Today is a perfect example. More calendars claim May 3 is chocolate custard day than May 5, so we’ll go along with that. Occasionally, I’ll come across a food holiday listed on one calendar that doesn’t show up anywhere else, or that I’ve otherwise missed. Take May 6, for instance. Up until a few days ago, I’d assumed we were making crepes suzette. But then I discovered a listing for National Beverage Day. When that happens, I scour the internet for backup proof. Sure enough, multiple websites list May 6 as National Beverage Day. As long as I have correlating documentation, I consider it official. For that reason, our own calendar is constantly evolving. The truth is, crepes suzette would have been a challenge for a workday with the kids, so I’m glad I found out we can just gulp down a drink of our choice instead, and call it good. At this point, we are glad when we can take the easy way out. There’s no shame in that. Hey, next week we have to cook a roast leg of lamb. Trust me, we are paying our dues and working hard at this project! When there are multiple food holidays, we simply choose the one that appeals to us most. That may be based on personal tastes, what our schedules look like, or something else intangible, like the fun factor. We both hate lima beans, but we chose them over pineapple upside down cake on April 20 because we thought it would be far more interesting to eat something we otherwise wouldn’t touch with a ten-foot pole. Because there are two holidays for raspberry tart, today’s choice was a no-brainer: we’re celebrating National Chocolate Custard Day! Custard is prepared using a cooked mixture of milk or cream and egg yolk. It can vary from thin to thick, based on the amount of egg yolk and thickener added to the recipe. Most custards are used in dessert preparations, and include sugar and vanilla. They can also be used as a base for quiches and other savory foods. Custards have been popular in Europe for centuries, dating back to the Middle Ages. Because we had chocolate parfait a couple of days ago, we decided to switch things up today and celebrate with frozen chocolate custard. There just so happens to be a place called Sheridan’s right down the street from us that serves delicious frozen custard. We hadn’t been there in awhile, so we stopped by on our lunch and got some frozen custard. With the temperature pushing 80 degrees, it hit the spot on a warm Friday afternoon! The perfect day for custard! Now I am hungry, again. Yes, talk about serendipitous timing! Great entry and I’m glad you explained things a bit better. Now I totally get why you guys do the things the way you do and I will never complain about taking the easy way out. I’m pretty impressed with how much you both have done so far!! 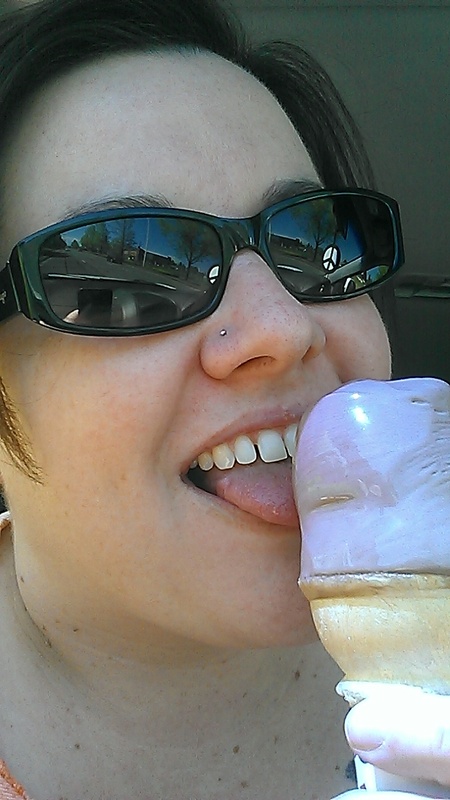 Yum for frozen custard! I suppose Cream Brulee would be considered a custard, right? I would say creme brulee is a type of custard, absolutely! Though we couldn’t have had it unless it was topped with chocolate for this challenge. Carvel is the best! Too bad it isn’t around here. I know how much you love Carvel! Have you tried Sheridan’s, though? They’re a pretty good substitute.